The following lot is in Bonham's (New Bond Street, London) sale Papers & Portraits: The Roy Davids Collection Part II on 29 March 2011. This portrait was taken on 11 April 1988 at The Chantry, Near Frome, Somerset, and was exhibited at Lucinda Douglas-Menzies's exhibition Portraits of Luminaries at the Stephen Bartley Gallery, London, in 1988. An example of it is in the National Portrait Gallery. All enquiries to Bonham's, please. Welcome to Anthony Powell News. 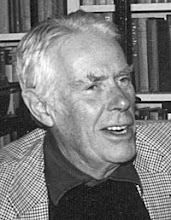 This weblog contains news items about English author Anthony Powell, his milieu and the Anthony Powell Society.